This was a very interesting little project for us. 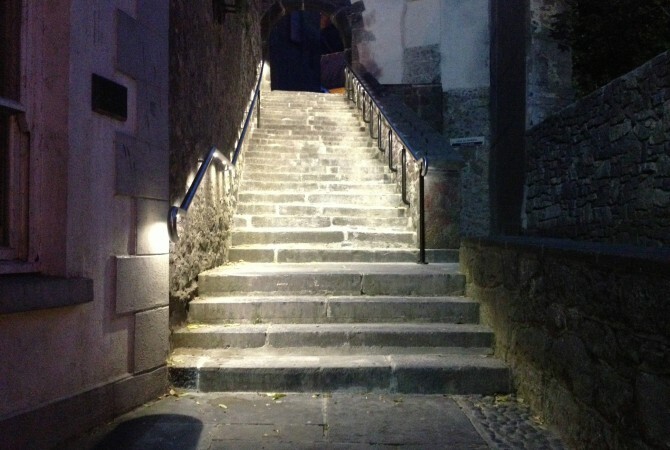 We worked with Emir Slattery of the engineering department in Kilkenny Borough Council. 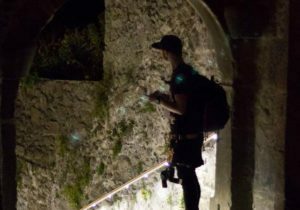 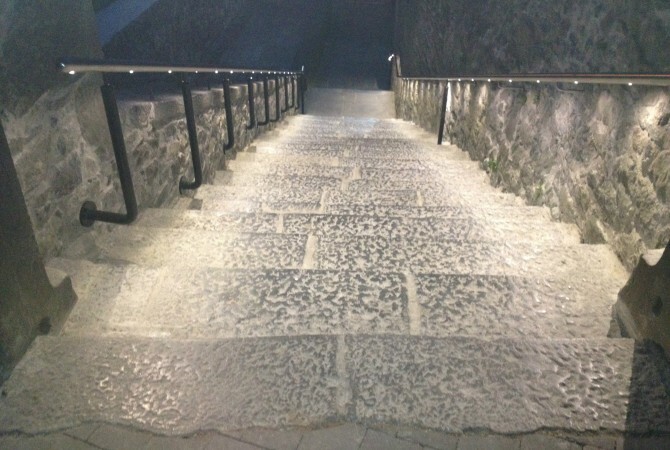 The concept idea was to relight the steps as part of the general upgrade been carried out. The introduction of a new handrail was part of the project and we decided to conceal the lighting in the handrail. 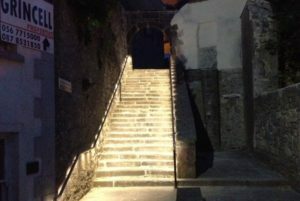 This killed two birds with the one stone, no fittings or cabling to be seen, and the steps are illuminated and stand out as a beacon as you walk down Irishtown Street. 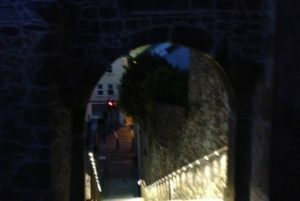 This draws you up the steps to the St. Canice’s Cathedral.